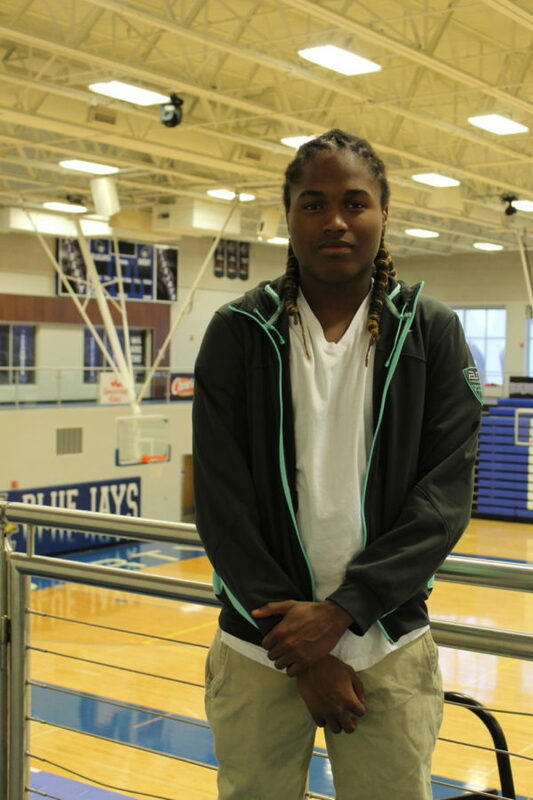 Sophomore Javin Shaw’s future career in basketball and criminal justice. A determined sophomore, Javin Shaw, loves being cheered on by his fellow teammates. He has been playing basketball since third grade, and is the shooting guard and small forward for his varsity and junior varsity team. There have been many forces encouraging Shaw to play basketball, such as his height and his idol, NBA basketball player Russell Westbrook. “It’s the way Westbrook carries himself off the court and handles his business on the court. He’s a composed person, he’s humble and he helps out whenever he can, like charity events,” Shaw said. Though he loves basketball and wants to continue it in college, Shaw plans to go down the career path of criminal justice. With a goal of getting a Division 1 scholarship and a full ride for Missouri State, he wants to be a part of a SWAT team or the FBI. His friend, sophomore Keaton O’Connor, believes Shaw can achieve what he wants. His AVID teacher, Marla Badalucco, agrees. While he is a hard worker, others see Shaw as a funny person who can joke around with the rest of his classmates.